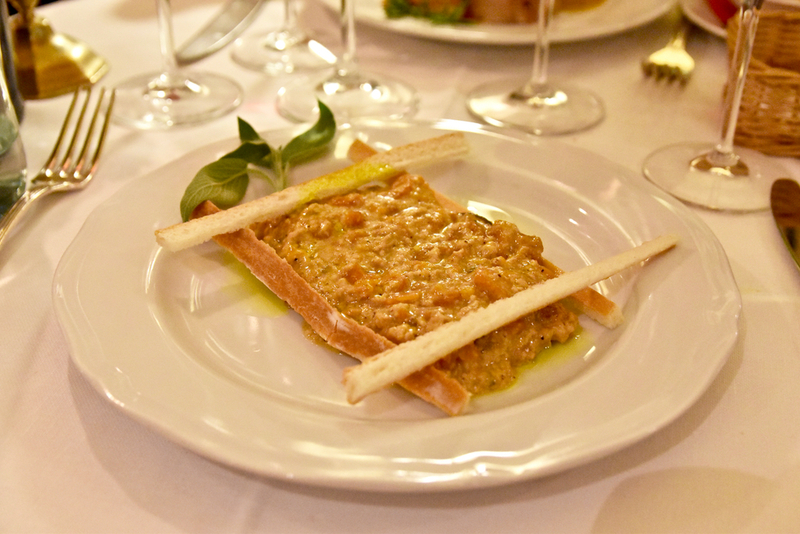 Cibreo is a true stalwart of Florence's dining scene. One of 3 restaurants run by Fabio Picchi and his family, Cibreo is a restaurant with a proud reputation forged over many years. 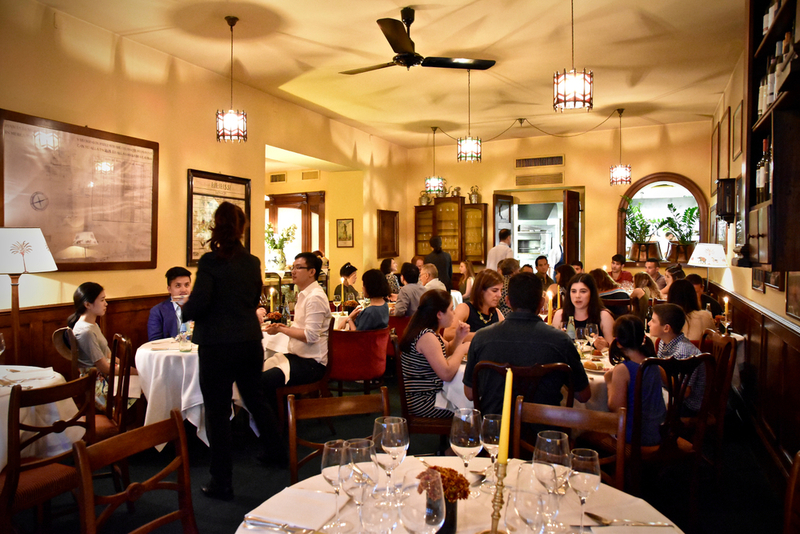 Consistently enjoying massive success, Cibreo is widely regarded as one of the finest Italian restaurants in Florence. It is an “institution” in every sense of the word and a true colossus of the Florence dining scene. The opulent dining room oozes history and makes you feel immediately welcome and this is reinforced by the warm, knowledgable and attentive service. Startlingly, there is no menu. What is on offer changes daily and is explained by the staff once you are seated. We were privileged to have Signora Picchi herself come by and deliver the menu of the day. We began our culinary journey at Cibreo with an array of appetisers, including some wonderful homemade ricotta alongside yoghurt mousse, raw sausage and crusty bread. For entrees the homemade mushroom soup was earthy and boasted a wonderful depth of flavour. The Soft Polenta with Parmigiana was wonderful. A small well in the middle of the creamy polenta was filled with stunning, vividly green olive oil. Combined with generous shavings of intense parmigiana, this was a simple but captivating dish. The mains were similarly delectable. We loved the milk braised veal stew which was texturally sublime and seasoned to perfection - comfort food at its best. 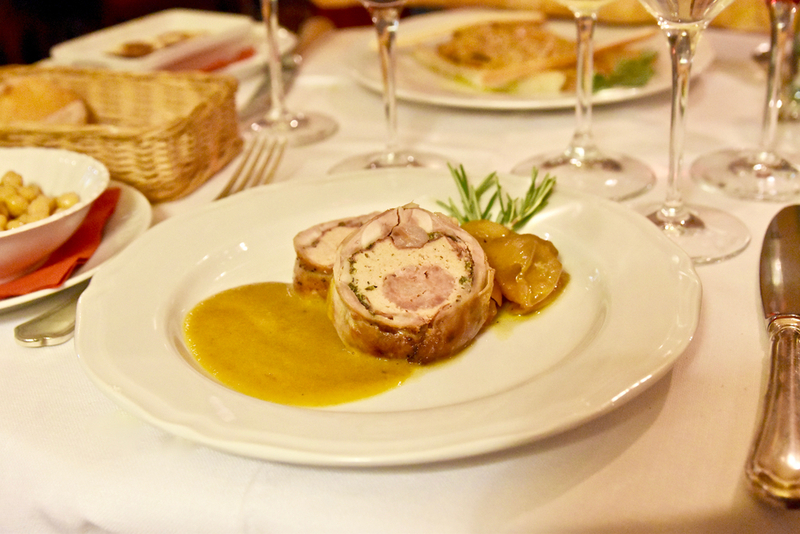 The rabbit stuffed with prosciutto and sausage was perfectly cooked and tender, highlighted the richness of the rabbit. flourless chocolate cake, and berry tart. Each was executed flawlessly with love. Simple, and simply delicious. It is clear why Cibreo has been so successful for so many years. Cibreo delivers superbly executed, hearty Italian cuisine in a warm and welcoming environment that keeps you wanting to come back for more.